Key Size: 2.5". We can Arrange different Sizes for your Specfic need. Swaminarayan Industries brings to you a wide range of furniture hardware products. 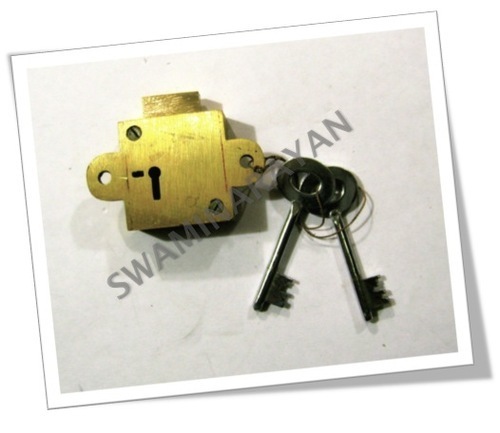 Swaminarayan Industries incorporates all varieties of hardware products like handles, locks, paints, furniture tools etc. Shri Swaminarayan Industries has been in existence since 1972 as a supplier of hardware products specially for steel cupboards. Company started its initial growth in the mid 80's in order to reach out to a greater range of customers. We supply the products in many parts of India and still expanding by importing products and supplying to the market. We're in constant efforts to reach out to global pool of suppliers and customers to supply with a greater and more comprehensive range of locks.